Spinal Fusion with Implants: What kind of graft is right for me? Spinal injuries are some of the most common and serious injuries workers sustain. When physical therapy and injections don’t provide appropriate relief, your doctor may suggest spine surgery, such as a spinal fusion. Spinal fusion may give you relief from your daily pain and also allow you to begin working again. 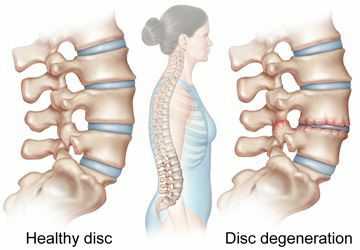 What is used to fuse the spine? A spinal fusion requires the use of a graft of either an organic or inorganic substance. The organic substance used is natural bone. This may be taken from your own hip or even from a cadaver. Inorganic substances include synthetic implants made out of plastic, metal, or carbon-fiber. Either a bone or prosthetic are fused to the vertebrae in your spine so that there is no movement in between them, hopefully reducing your pain. The decision on which type of substance you should use as an implant is based on your doctor’s preferences, and perhaps your own. When determining which type of surgery to recommend, your doctor will consider the exact location and size of the damaged part of your spine. Some doctors prefer to graft with bone, either your own or cadaver, because it is organic and they think it will heal better with your spine. But using a piece of bone from your hip requires an additional surgery to remove that piece of bone, and some patients just don’t like the idea of having a piece of a cadaver placed inside their body. Talk to your doctor so you can both decide which type of surgery is right for you. Medical care such as physical therapy and surgery are costly and stressful. If you have injured your back at work, you may be entitled to compensation. To figure out if you have a workers’ comp claim, you should speak to a New Jersey workers’ compensation attorney immediately. Manfred F. Ricciardelli, Jr. has been fighting for the rights of New Jersey’s injured workers for over twenty years. For a free consultation, call us today at (973) 285-1100 or fill out our online contact form. Focus on your recovery and let us handle your case.